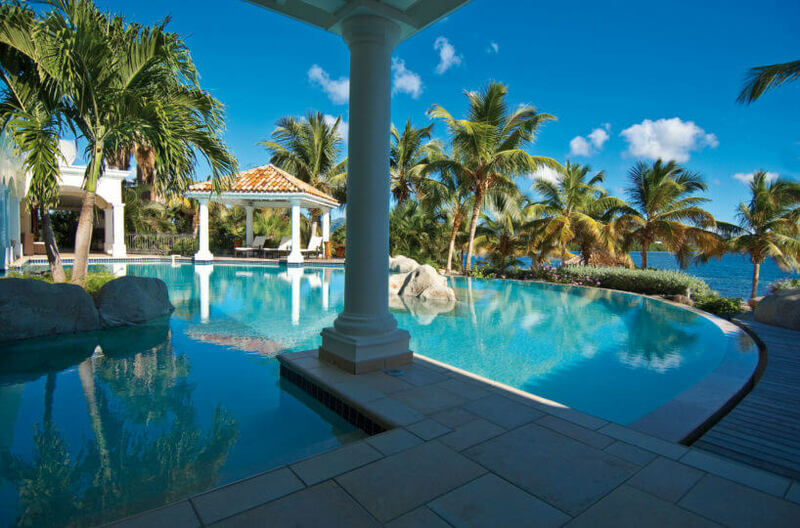 La Salamandre an exceptional, fully air-conditioned 6 bedroom/6.5 bathroom waterfront villa located on the Simpson Bay Lagoon in the exclusive Terres Basses area of French St. Martin. 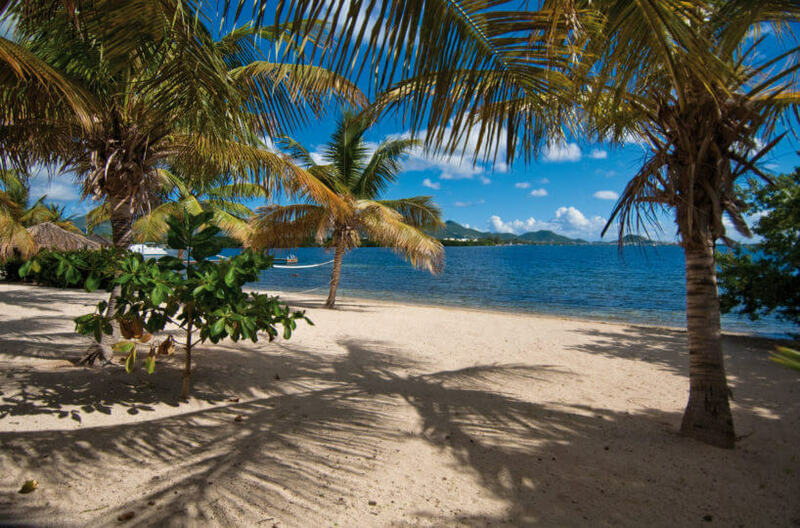 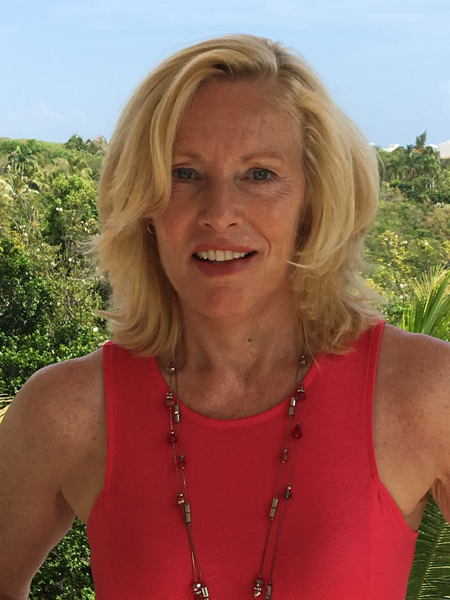 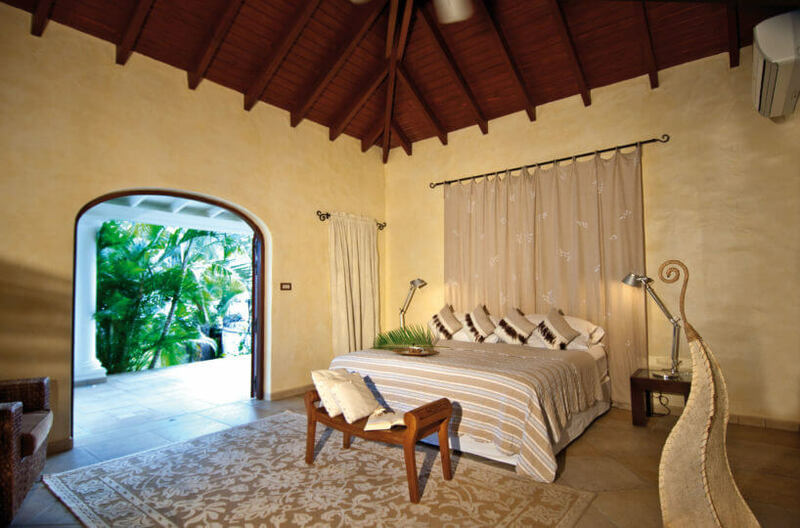 The villa offers wonderful lagoon views during the day and at nighttime you can see the twinkling lights of the sailboats and Marigot, the French capital. 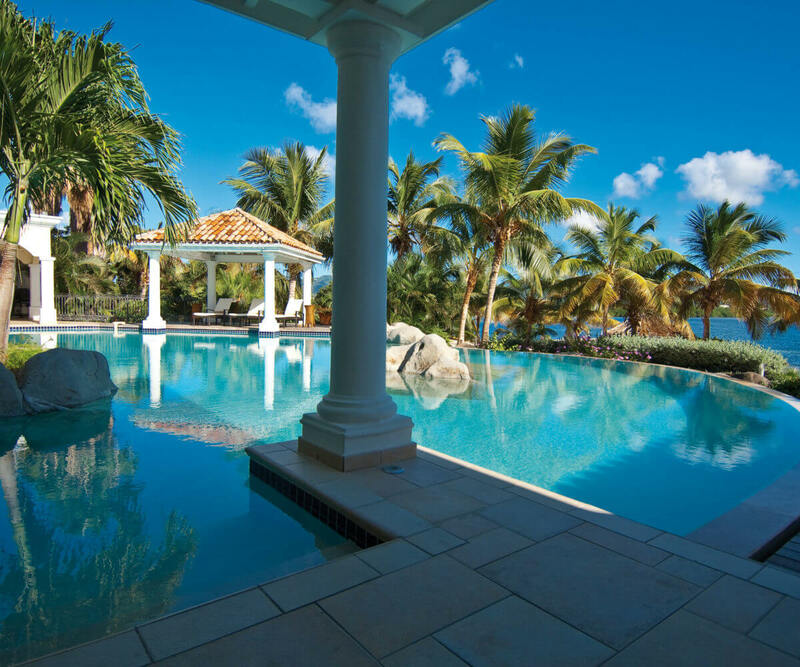 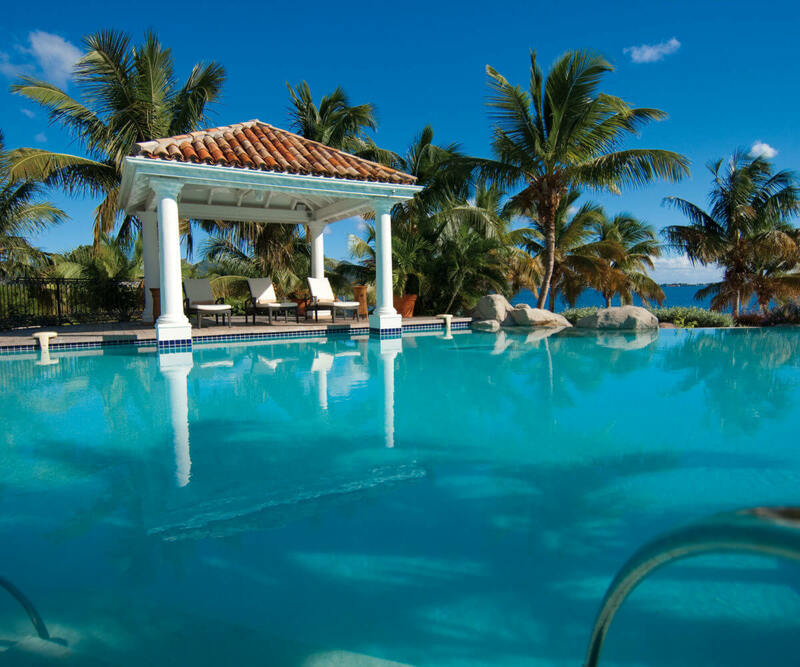 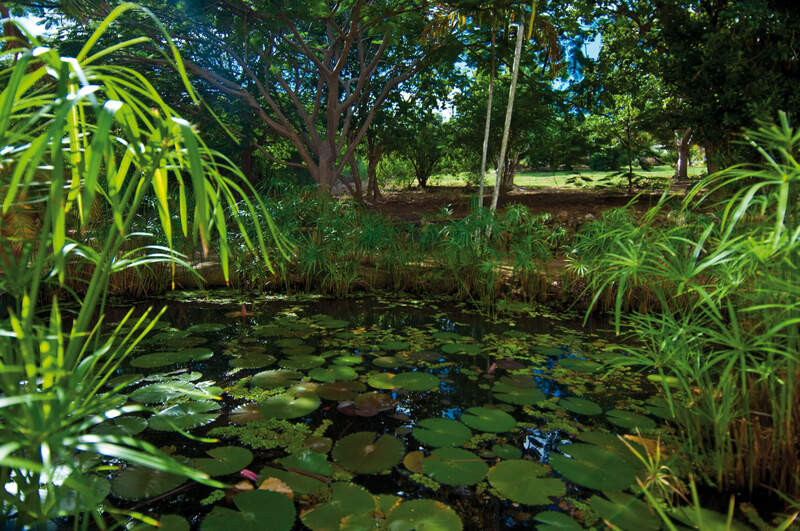 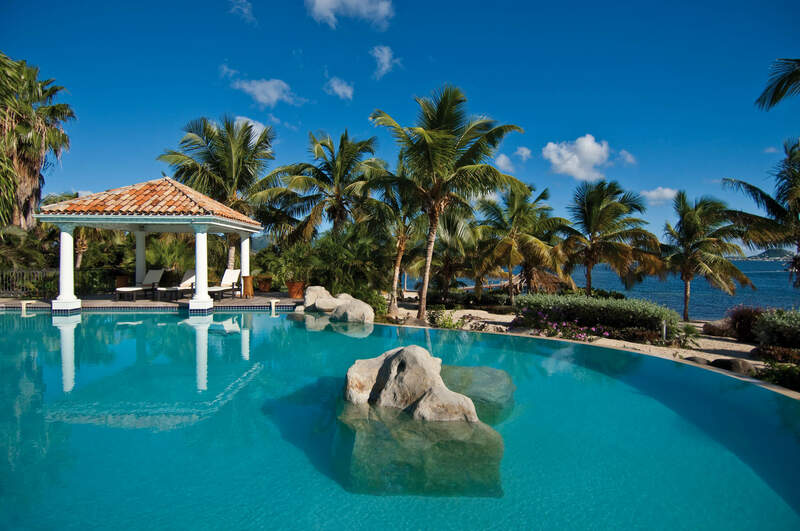 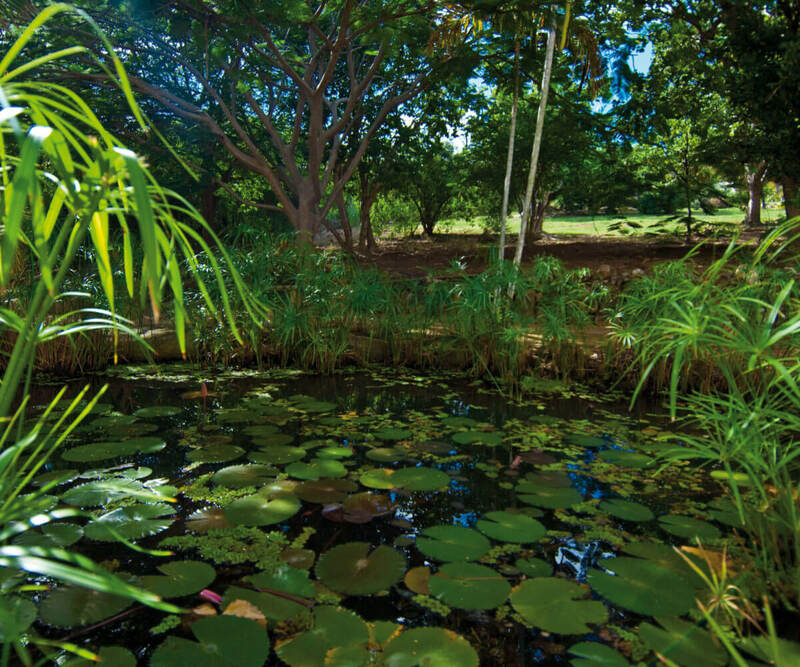 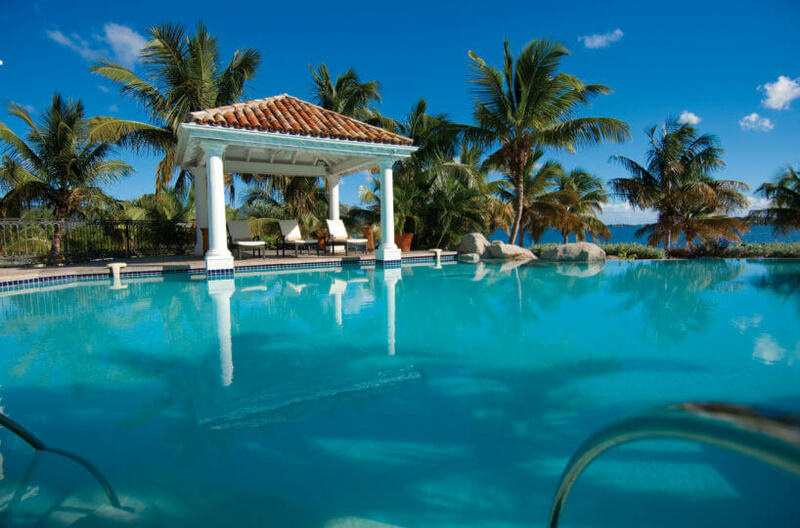 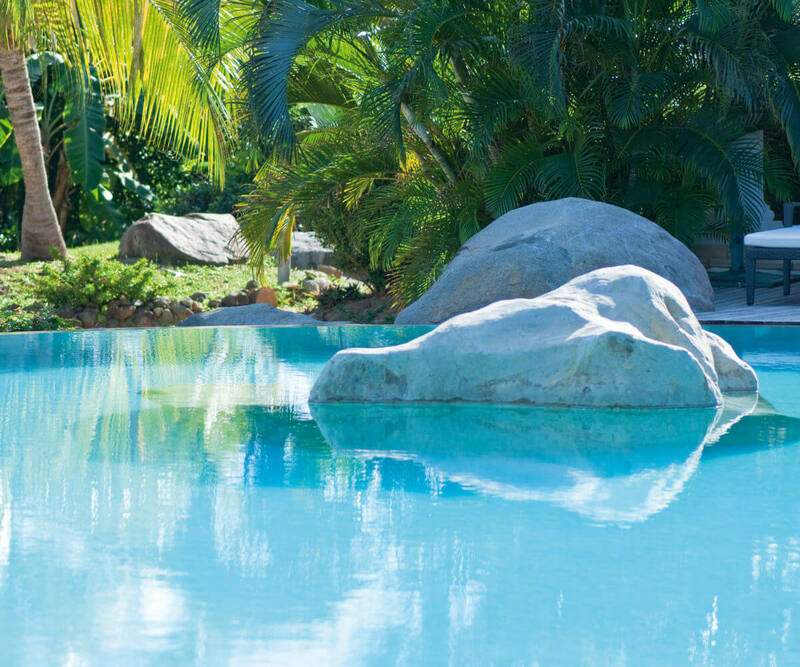 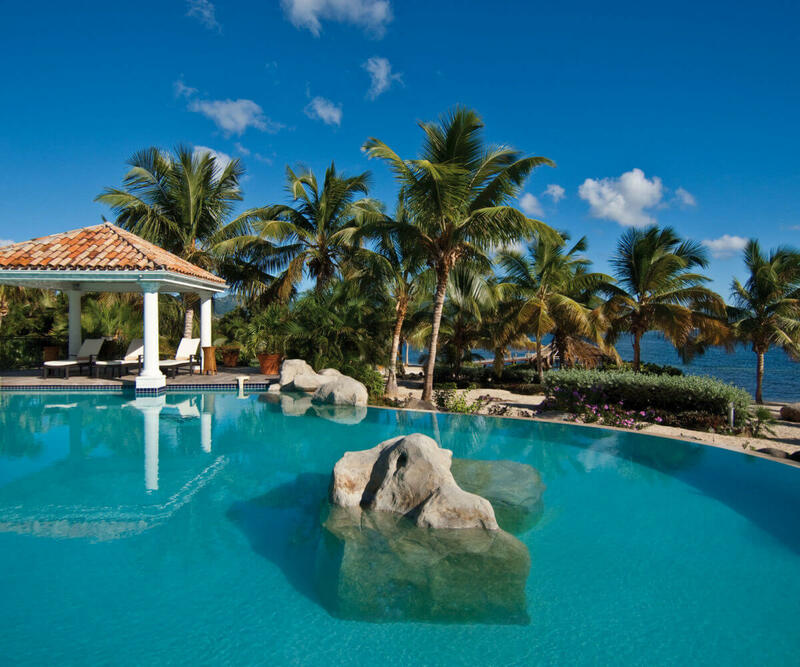 It offers a magnificent heated free-form pool with adjacent gazebo and is just steps away from the Simpson Bay Lagoon and also has it’s own private dock. 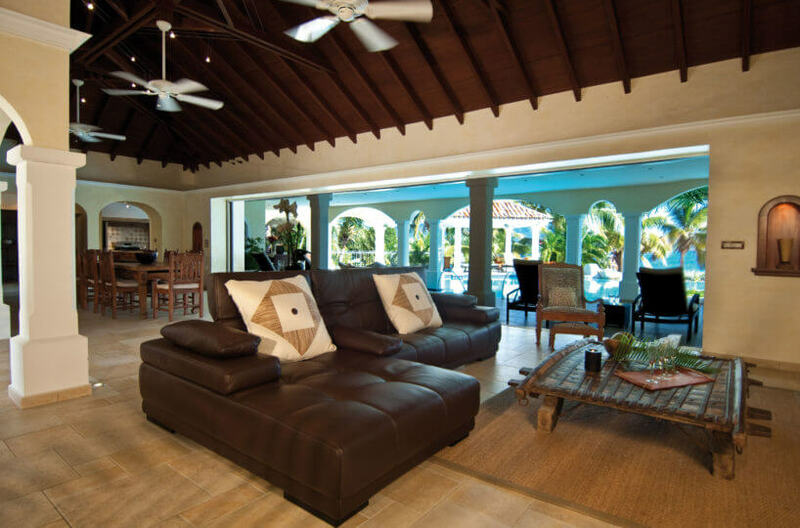 The grand living room opens onto extensive covered terraces surrounded by lush tropical gardens. 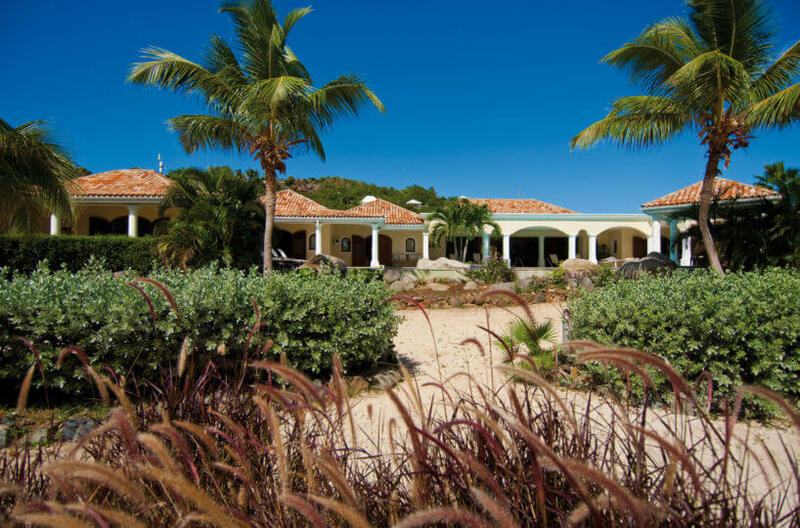 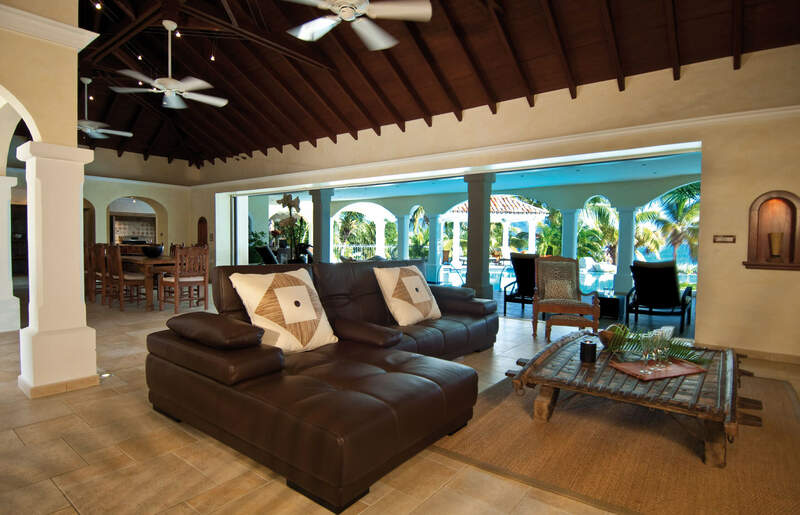 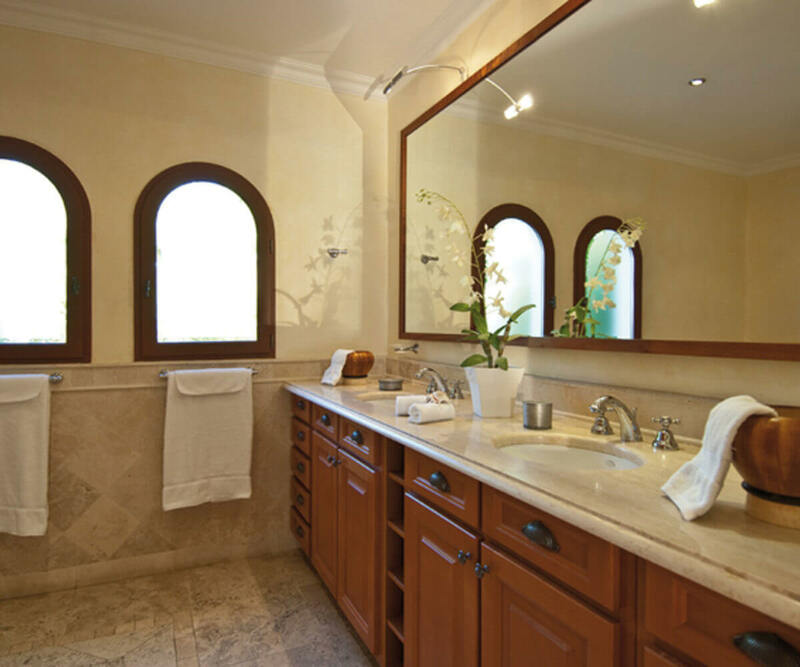 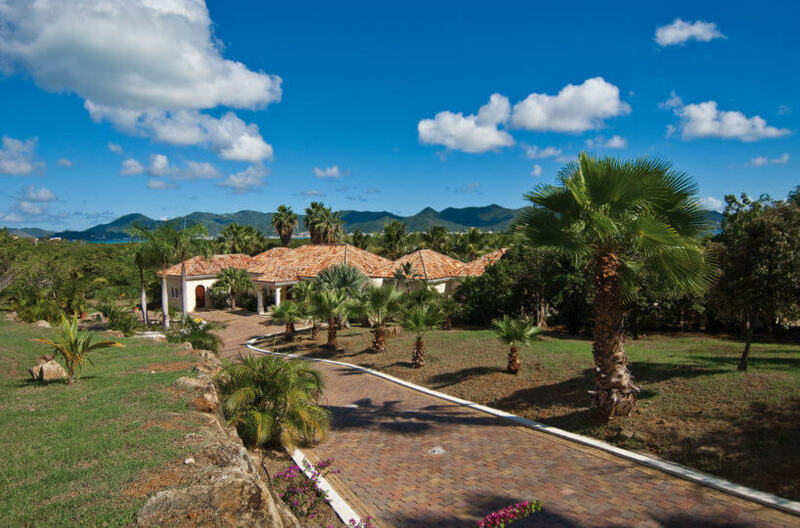 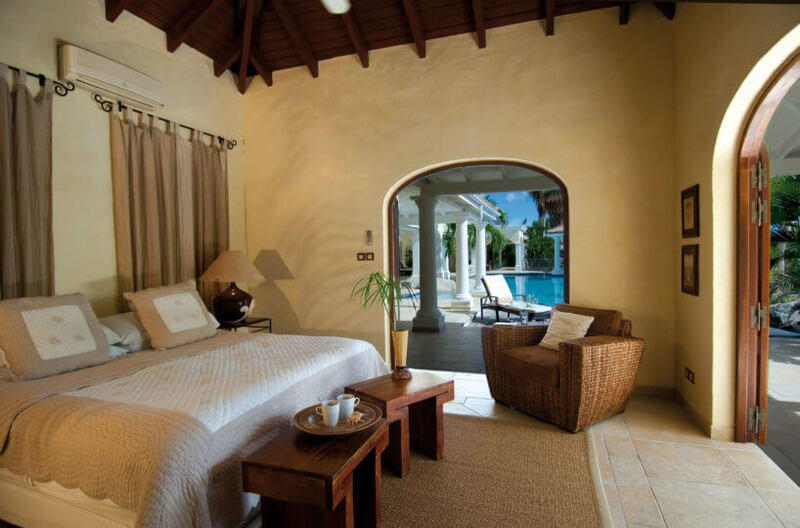 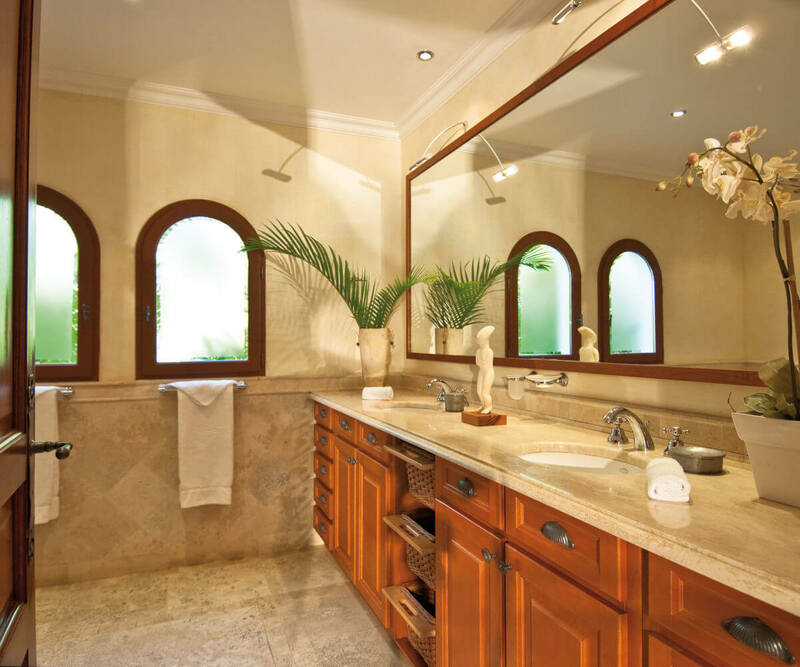 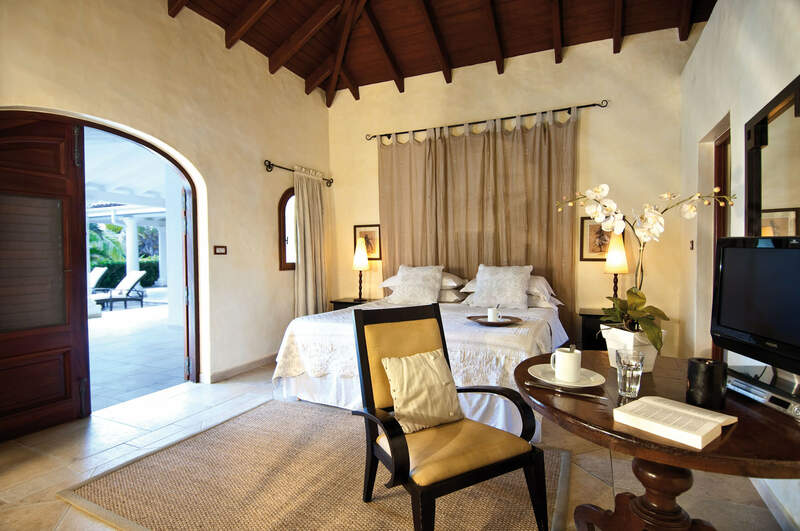 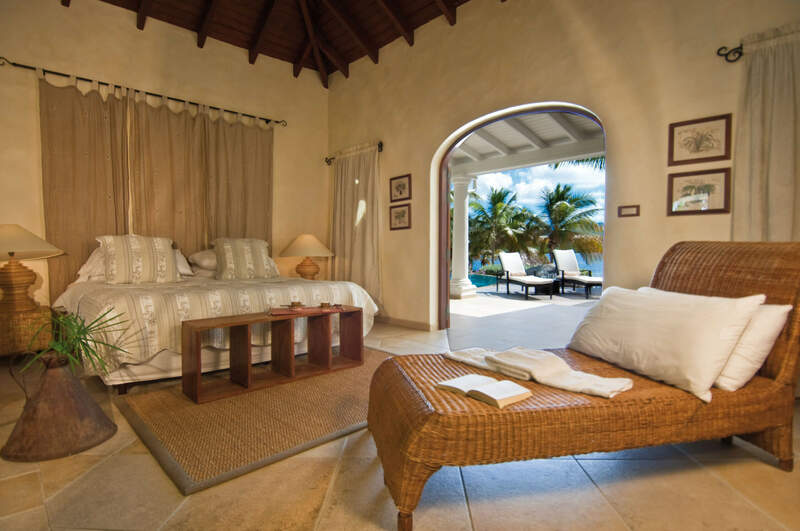 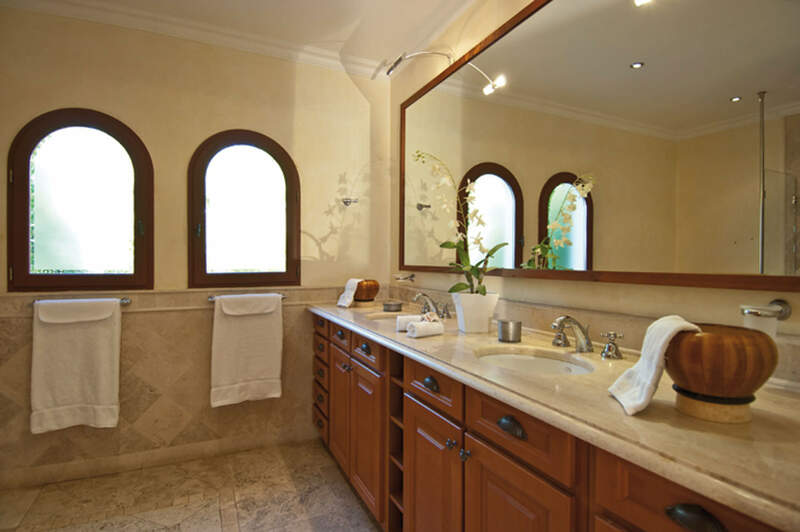 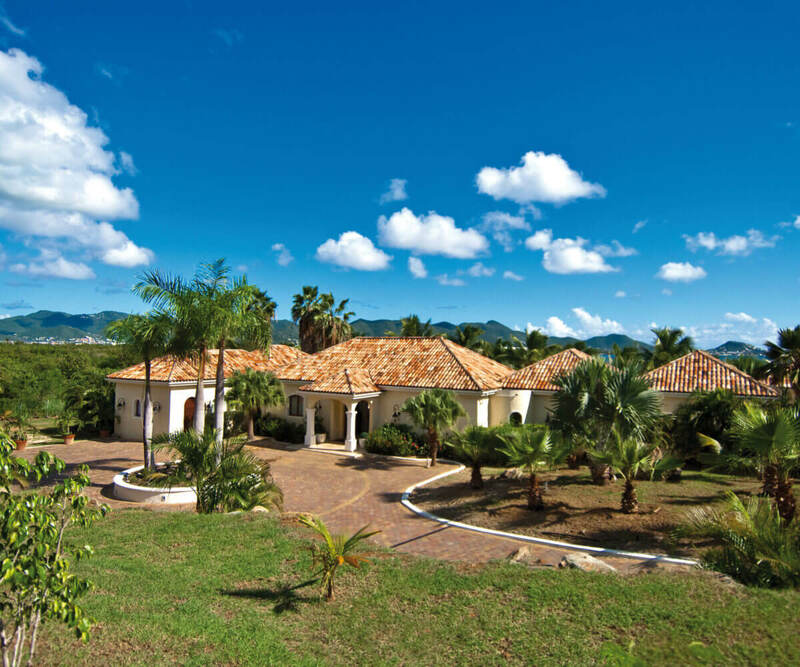 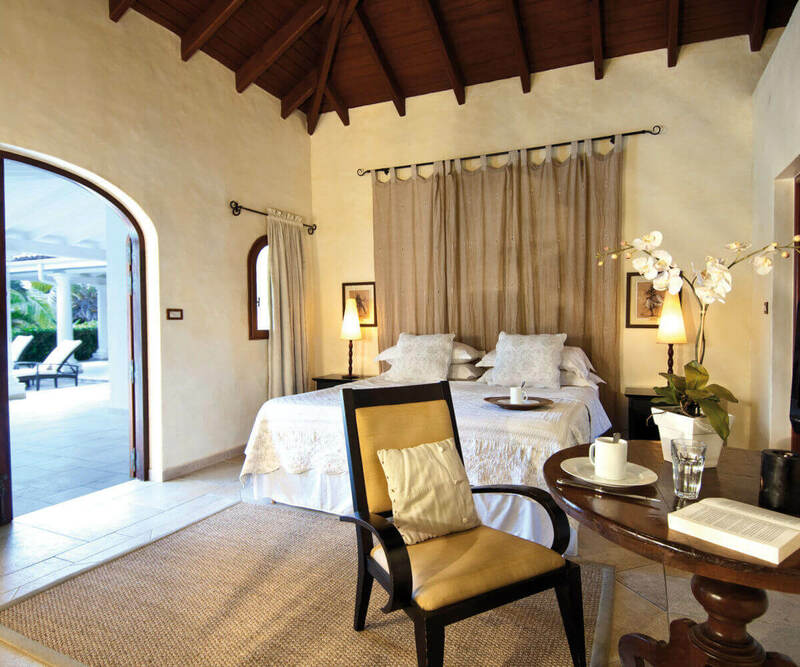 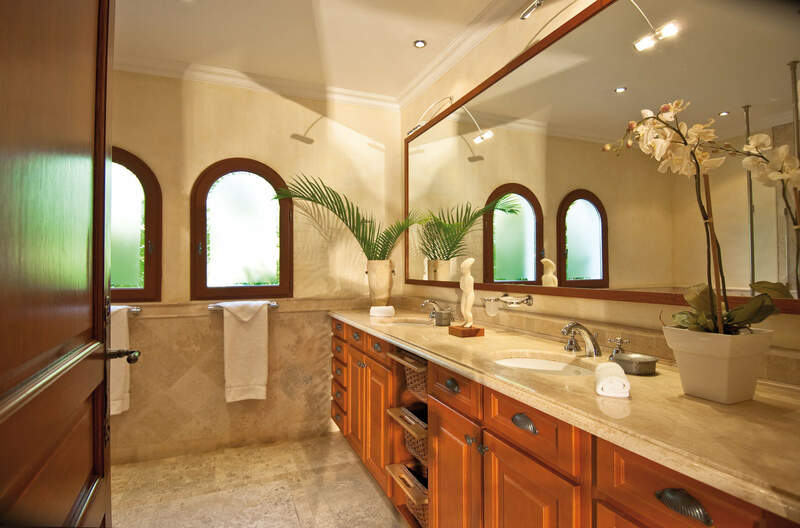 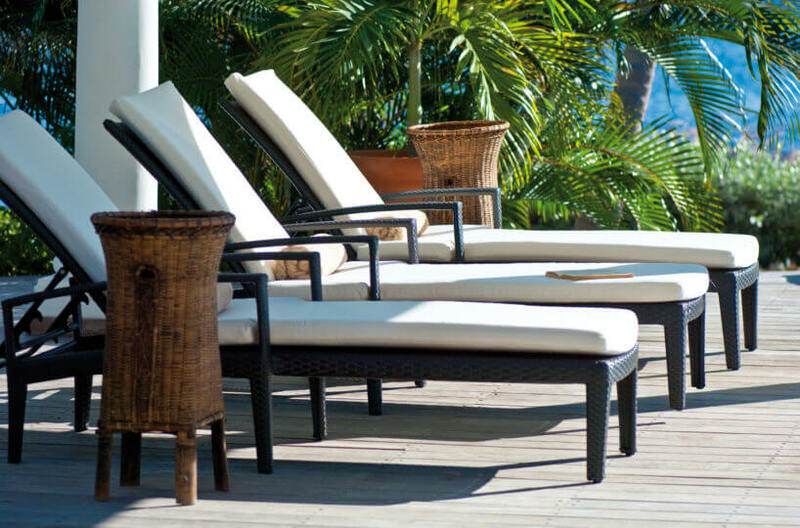 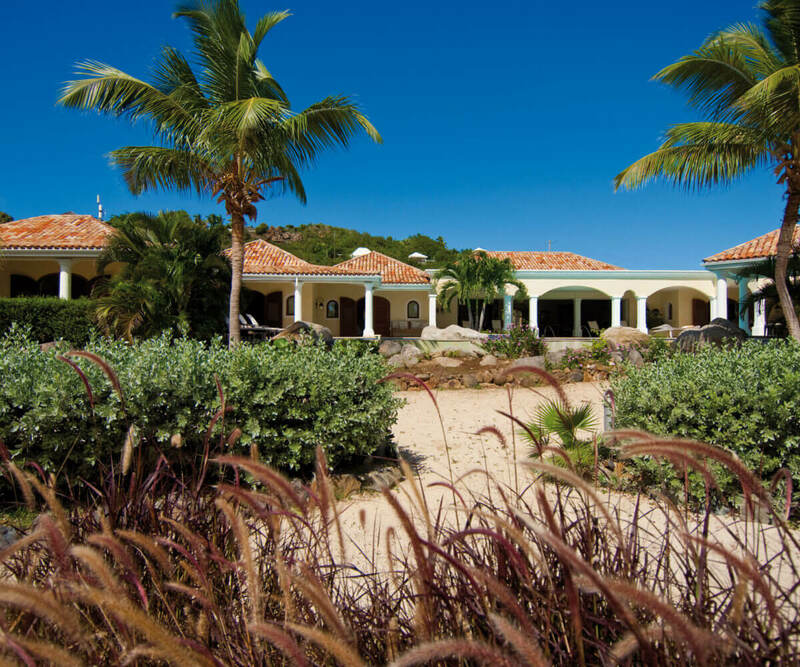 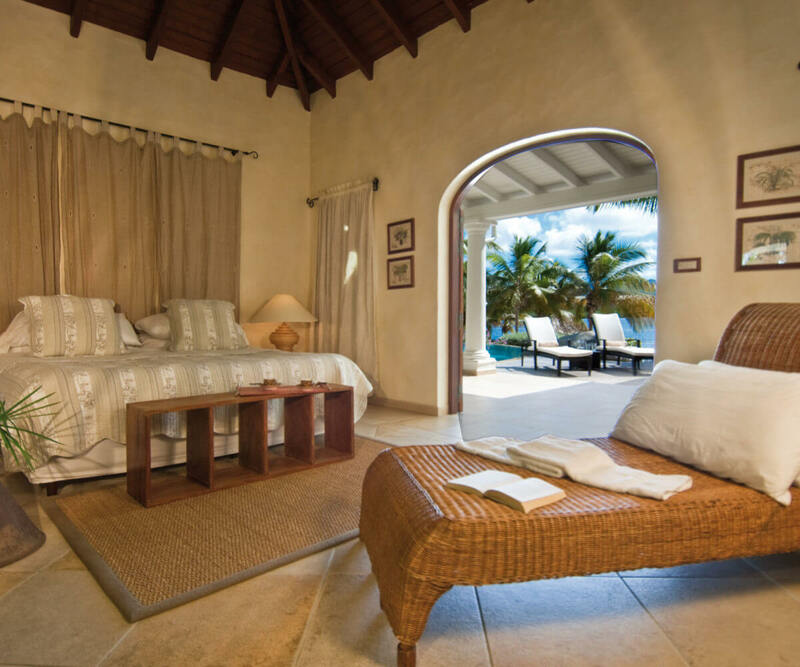 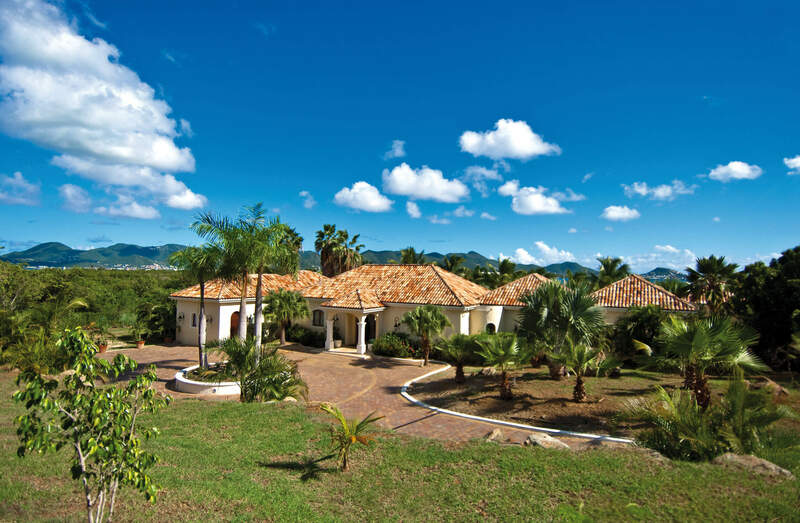 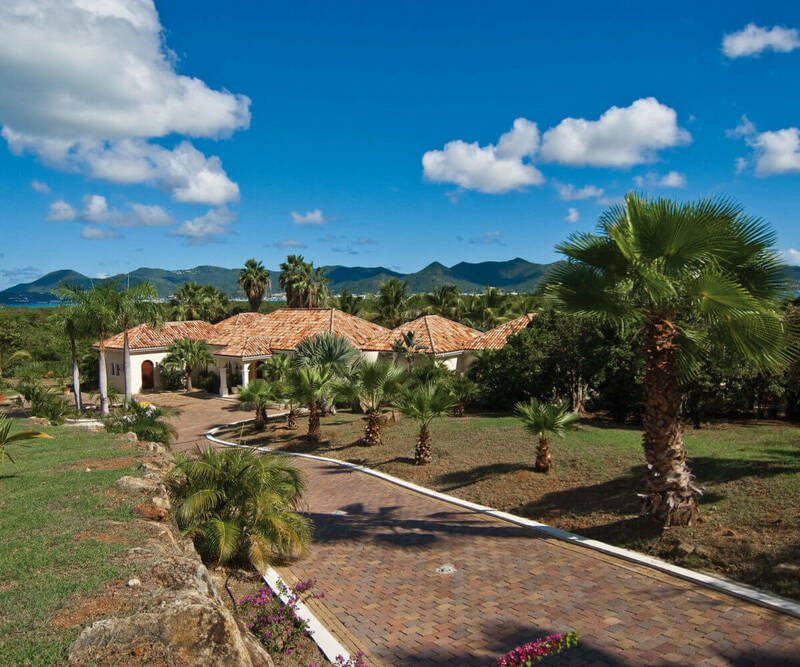 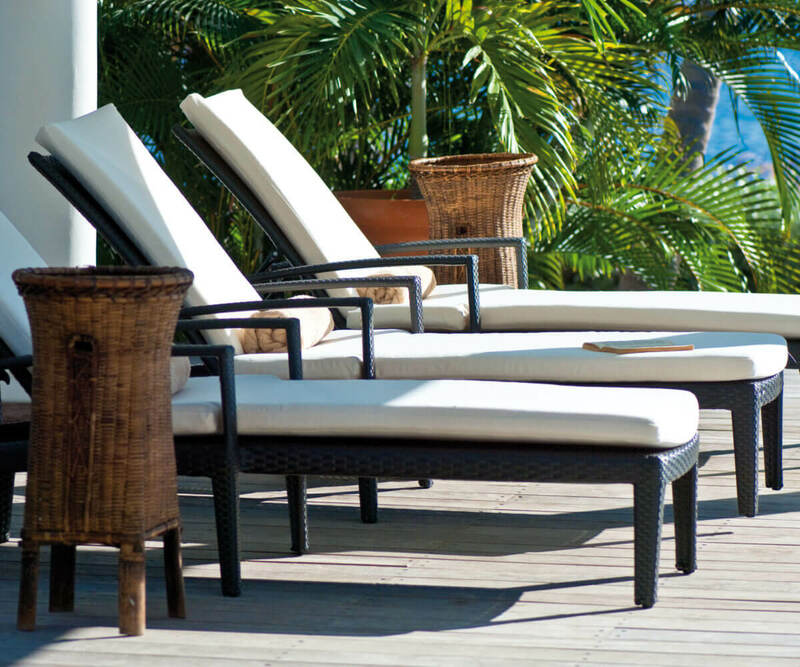 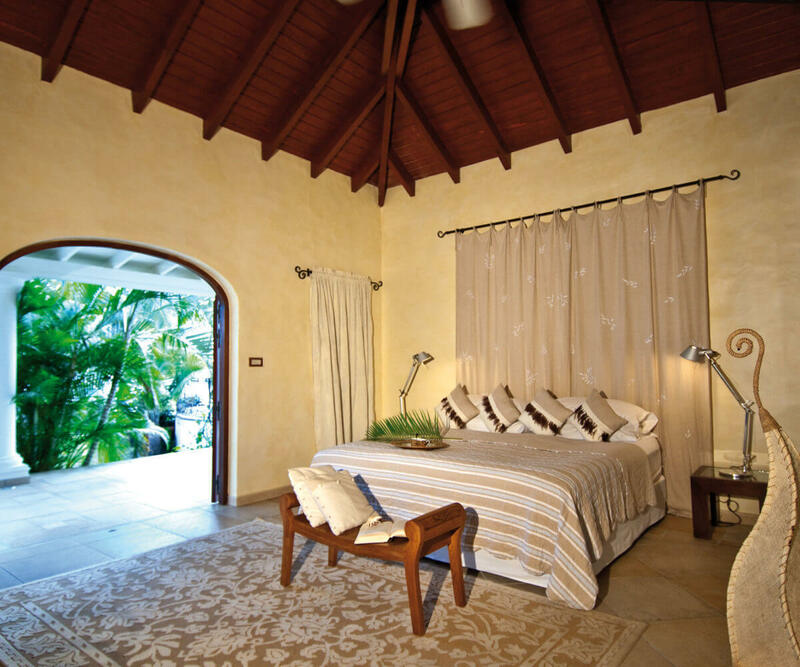 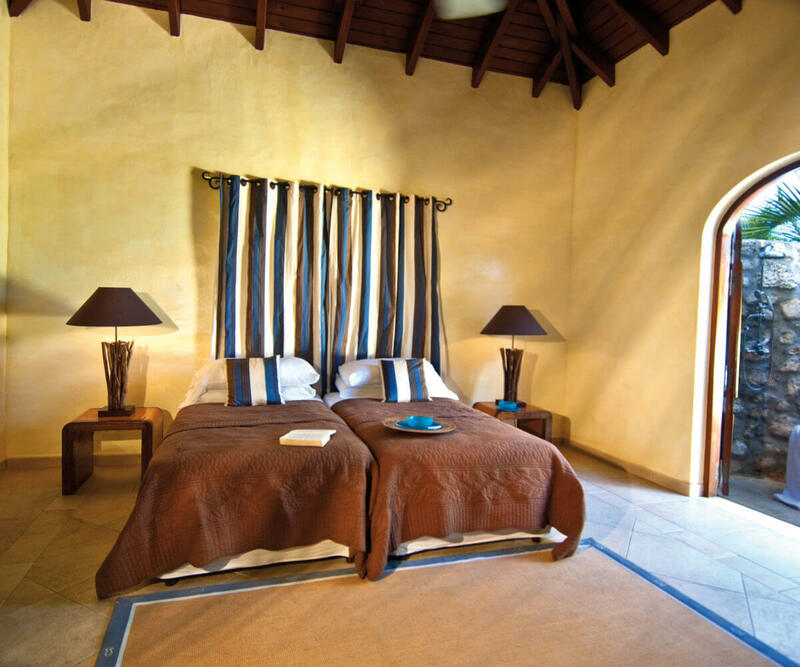 This villa has a sophisticated blend of modern, colonial and tropical style furnishings. 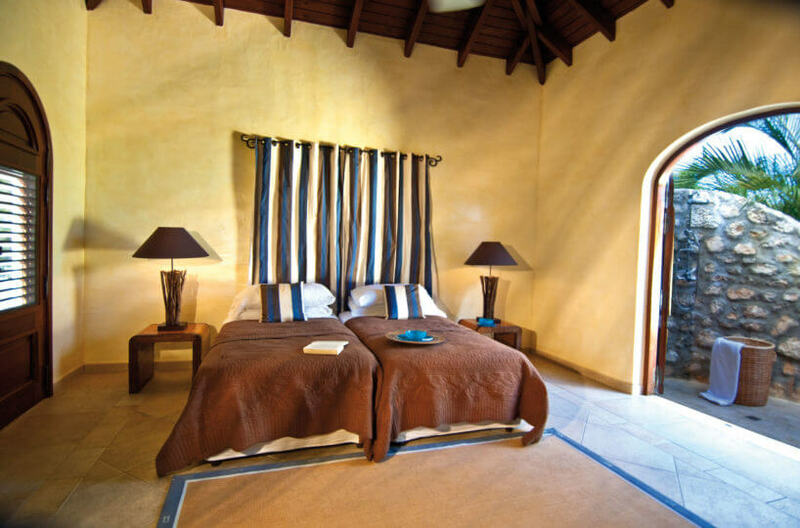 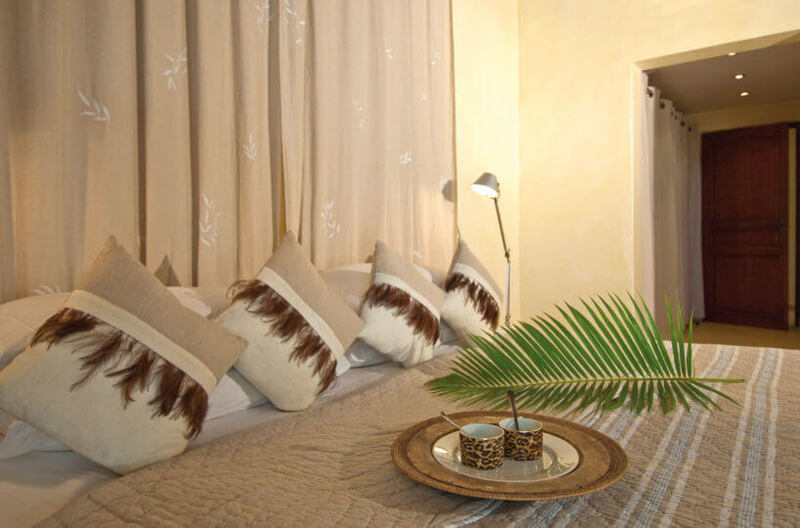 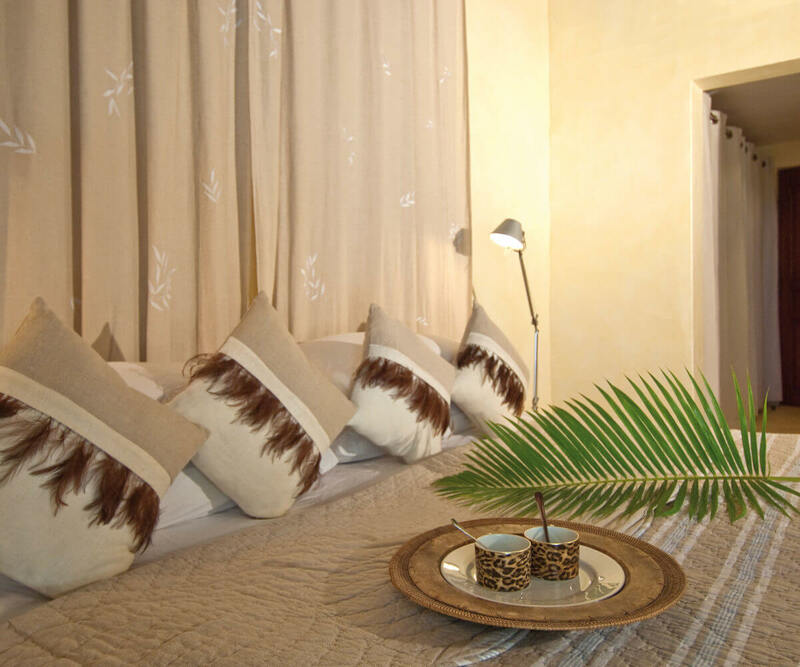 The four bedrooms with King size beds open onto the terraces, the fifth and sixth bedroom have twin beds. 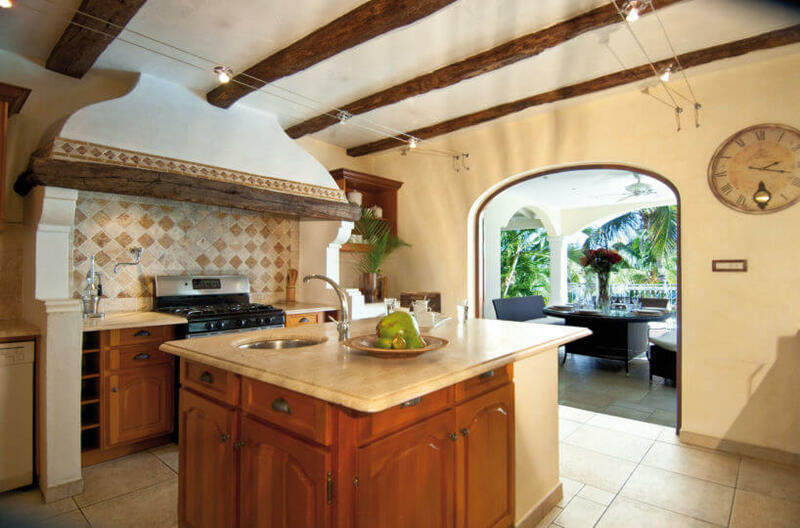 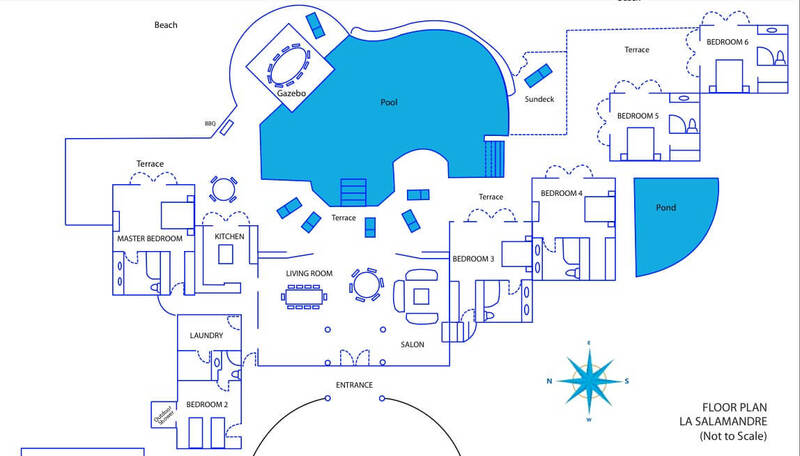 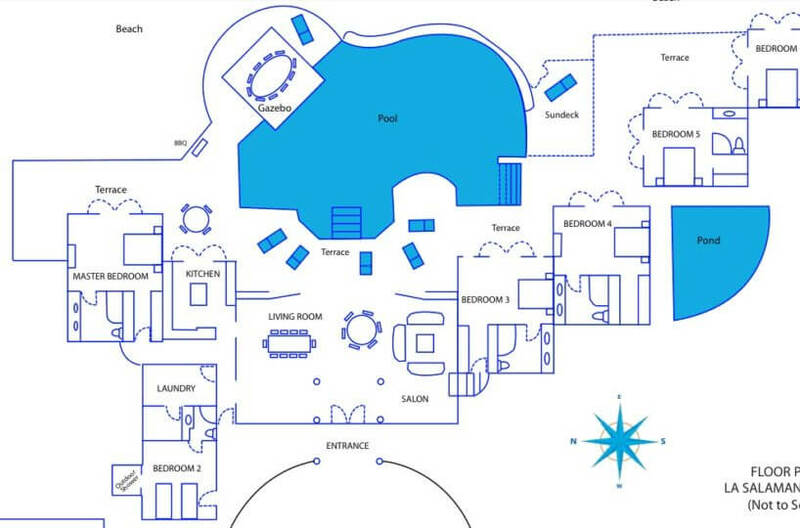 The very spacious and fully equipped kitchen offers views overlooking the pool and the lagoon. 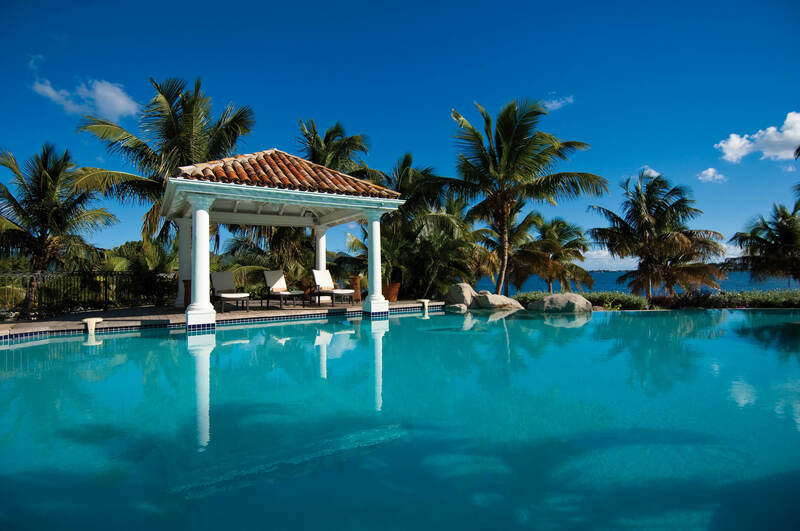 An outdoor dining area is located in the gazebo adjacent to the pool and the beach, and is equipped with a gas grill. 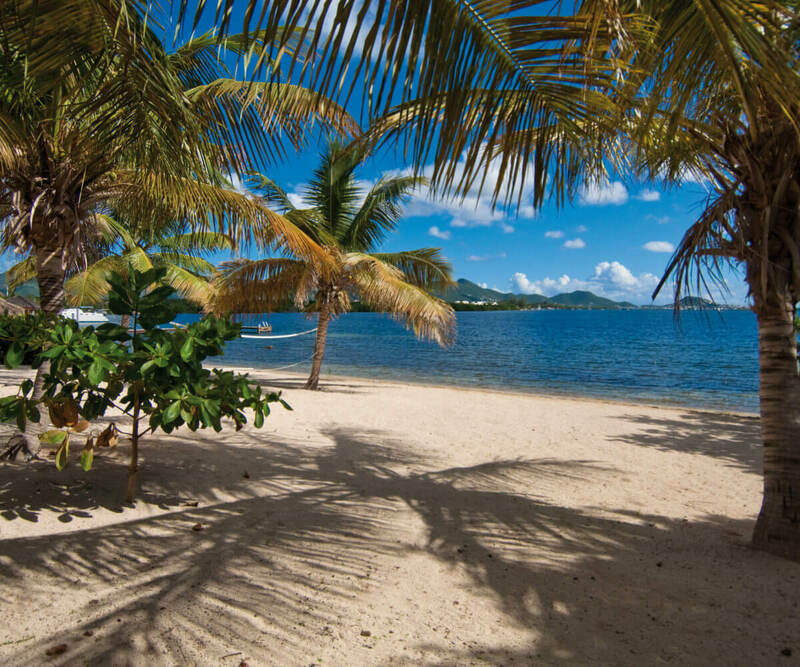 There is a large sandy area up to the waterfront however entry into the water is a bit rocky. 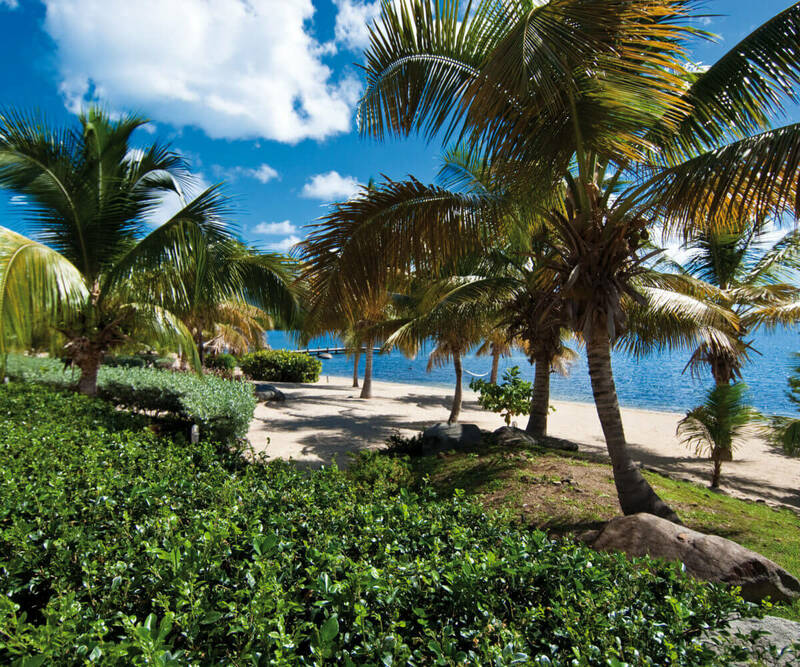 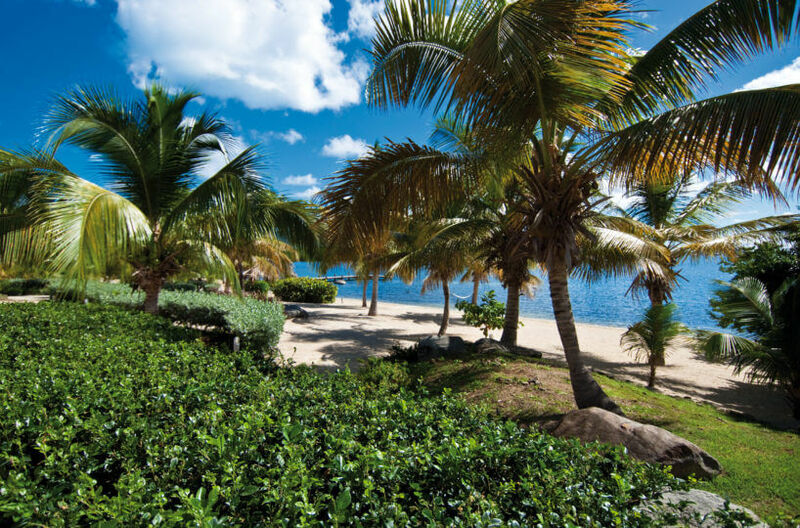 For swimming, the Baie Rouge Beach is just across the road from villa La Salamandre. There are four bedrooms with King beds opening up to the terraces. 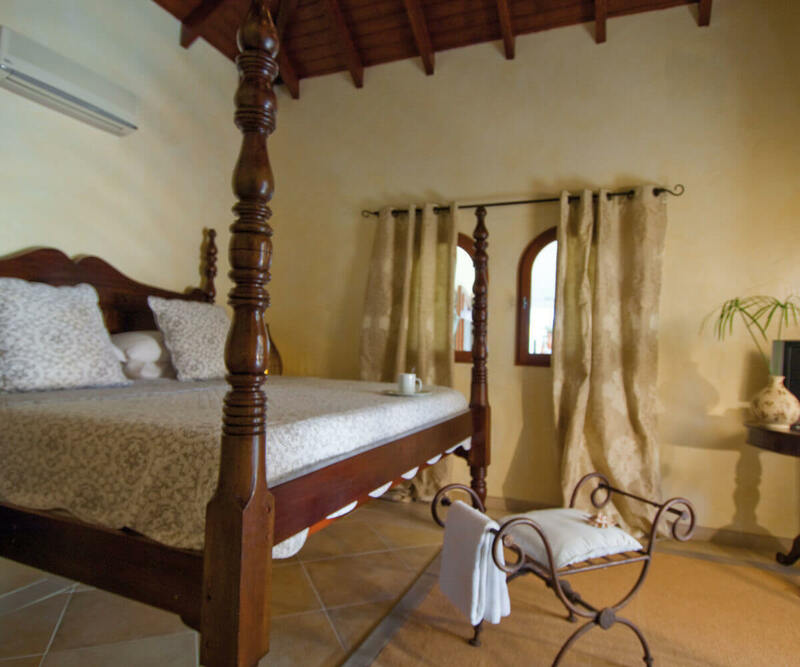 The fifth and sixth bedroom have twin beds. All bedrooms do have air-conditioning units, ceiling fans, en suite bathroom, satellite TV, DVD and screens.. Each bathroom offers a shower, hair dryer, 110V. 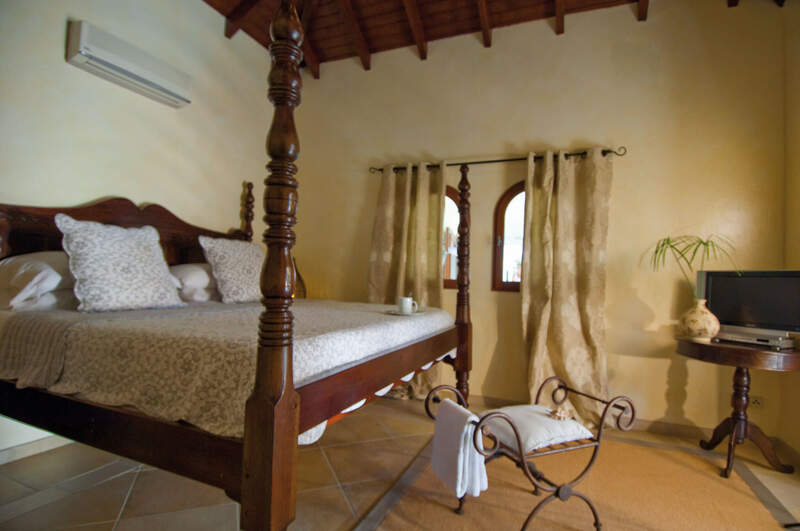 All bedrooms do have exterior access and 3 bedrooms can also be accessed from the inside of the vila. 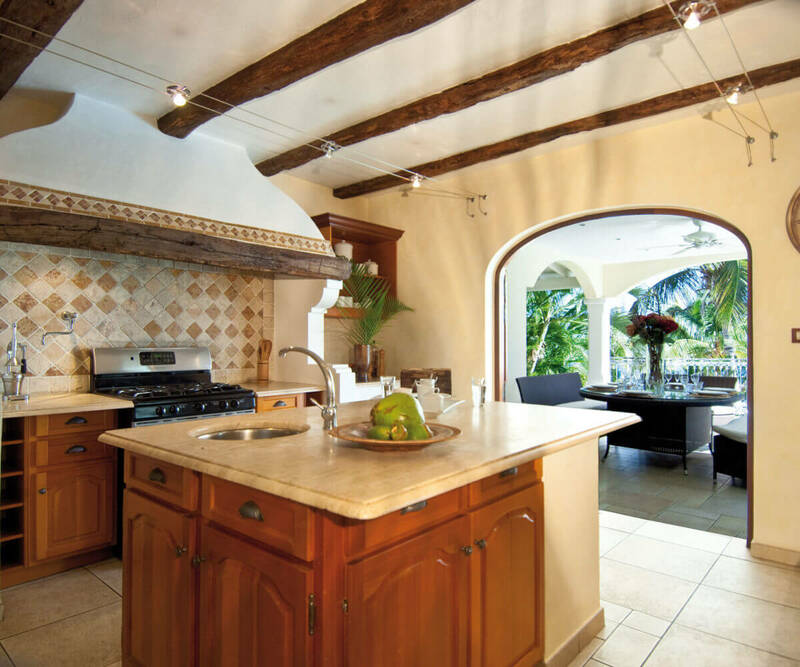 The very spacious kitchen is equipped with granite counter tops and a professional gas stove/oven, microwave, refrigerator, blender, dishwasher, toaster, coffee maker, and gas B.B.Q. 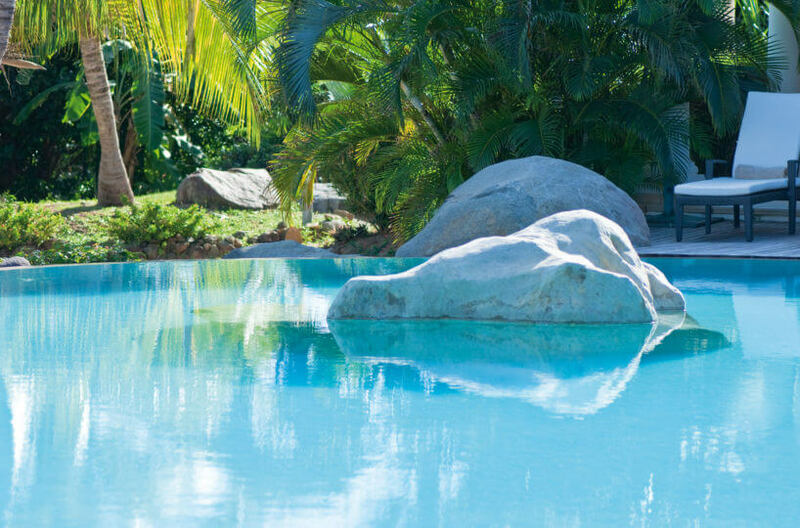 and offers a view on the pool and lagoon. 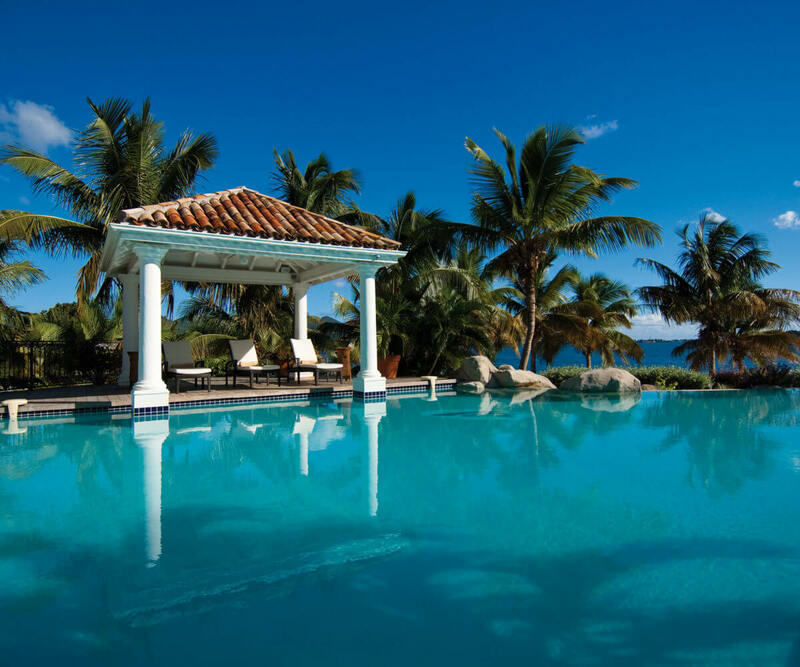 An outdoor dining area is located in the gazebo adjacent to the pool and beach, and is equipped with a gas grill. 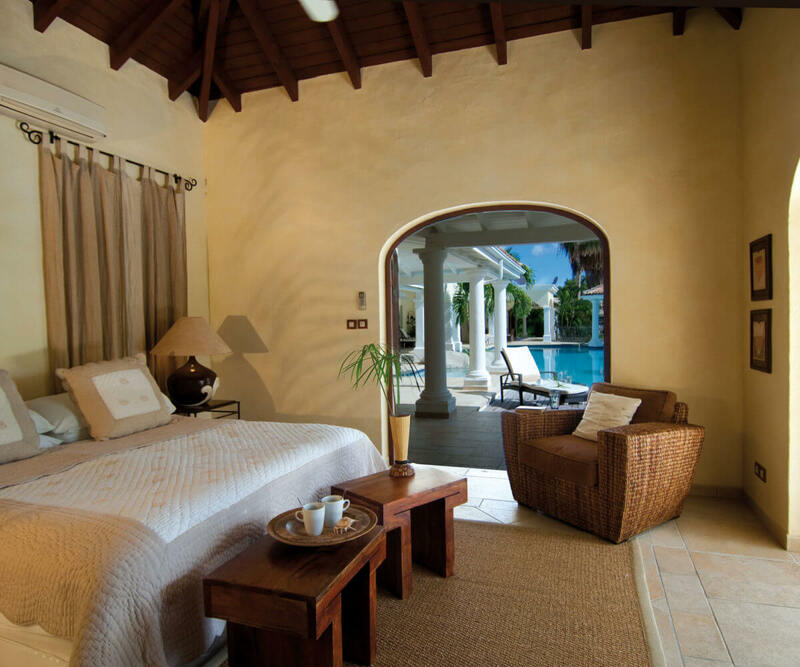 The interiors are spacious and offer a sophisticated blend of modern, colonial and tropical style furnishings all set on fully tiled floors. 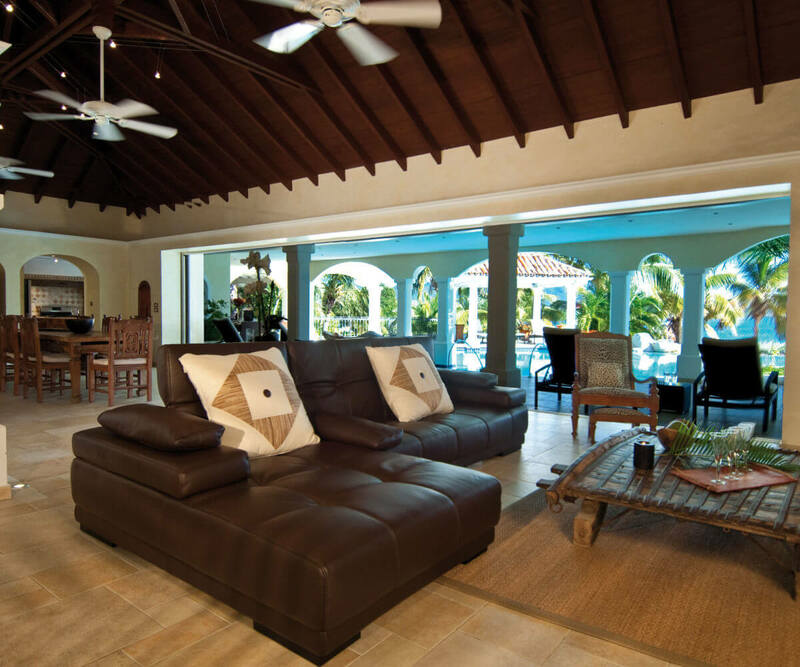 Rich earth tones and beamed ceilings characterize the decor in the expansive living and dining room, both of which open onto the covered and furnished terrace with the pool and lagoon beyond.